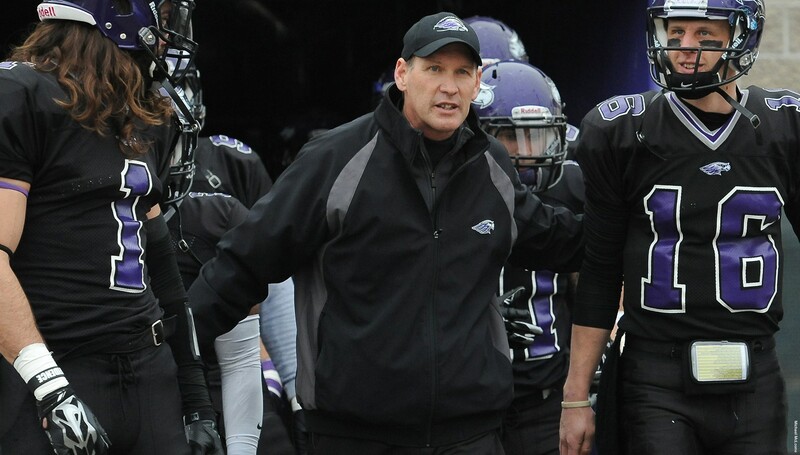 With Lance Leipold moving on to become the head coach at the University of Buffalo, the University of Wisconsin-Whitewater has named Kevin Bullis as its new head coach. 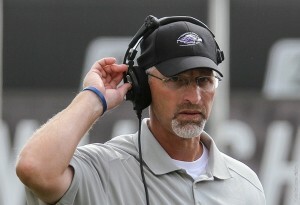 Bullis served as a defensive assistant for the defending national champion Warhawks for seven seasons and has been interim coach during the school’s coaching search. 5th-ranked Wartburg dominated the first three quarters of their NCAA Division 3 quarterfinal game at Whitewater and took a 33-16 lead into the fourth quarter. That’s when the top-ranked Warhawks put their foot down and scored three unanswered touchdowns to pull out a 37-33 win at Perkins Stadium on Saturday. The Warhawks reached the National semifinals by winning their 30th straight game, which is the longest active streak in any division of the NCAA. Whitewater will face Linfield, which crushed Widener 45-7. Mount Union will take on Wesley in the other semifinal. Running back Dennis Moore started the fourth quarter comeback with a 57 yard touchdown play on the second play of the fourth quarter. Then, after a Wartburg fumble, Warhawks quarterback Matt Behrendt hit tight end Derric Junakin for a 16-yard scoring strike to cut the gap to 33-30. Behrendt hit Justin Howard for a 23-yard scoring strike to complete the comeback. Behrendt finished 21 for 32 for 345 yards and four touchdowns. It means coach Lance Leipold will be around for at least another week, before heading to Buffalo where he was named head coach at Buffalo University last week. 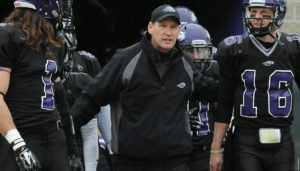 Lance Leipold led the UW-Whitewater Warhawks to 29-straight wins and a spot in the NCAA Division 3 football quarterfinals. But Leipold is leaving after agreeing to become the head coach at the University of Buffalo. Buffalo is expected to introduce Leipold at a news conference today. 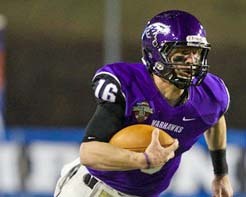 The top-ranked Warhawks (12-0) beat Wabash, 38-14 in the second round of the NCAA Division III playoffs on Saturday. Whitewater faces No. 13 Wartburg (Iowa) in the quarterfinals this Saturday. Buffalo fired fifth-year coach Jeff Quinn after an Oct. 11 loss to Eastern Michigan. The Bulls were 3-4 at the time and Quinn was 20-36 overall at the school. Offensive coordinator Alex Wood finished out the season as interim head coach. Division 1 Buffalo has been a member of the Mid-American Conference since 1998. The Warhawks have advanced to the Amos Alonzo Stagg Bowl, the NCAA Division III title game, six times and won five of them. The last coming back in 2013. Stagg Bowl (Division 3 Championship) in Salem, Virginia. It’s the 5th National Championship victory for the Warhawks and their 4th in the last 5 years. Whitewater quarterback Matt Behrendt capped off the game with the Most Valuable Player award, completing 20 of 28 for 249 yards and four touchdowns. Behrendt finished with a school-record 40 touchdown passes, throwing just 1 interception. The Warhawks defense did a number on Mount Union, holding the Purple Raiders to 32 yards rushing on 27 carries. 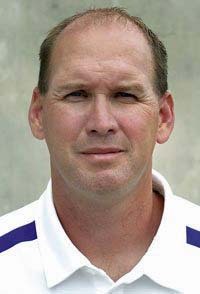 Since taking over at Whitewater, coach Lance Leipold is 94-6 and even more impressive is his 33-1 mark in NCAA Tournament play. UW-Whitewater followed up last weeks win over Oshkosh with a 35-16 win over UW-Platteville this Saturday. 7-3 and missed the NCAA Tournament playoffs. Even if the Warhawks would lose to Stevens Point again, beating River Falls the following week at home would still get Whitewater the title. Whitewater’s bump in the road last season ended a string of seven straight WIAC titles. coaching position at Austin Peay, which is a Football Championship Subdivision school that competes in the Ohio Valley Conference. Leipold led the Warhawks to four NCAA Division III football titles in his first five years on the job. In six seasons, Leipold has a 79-6 career mark. is set to interview for the post next week. 7-6 to Buffalo State at home on Saturday. The loss stopped the Warhawks 46-game overall win streak and the schools 30-game win streak at Perkins Stadium. Casey Kacz hit Ryan Carney for a 10-yard touchdown pass with 3 seconds left to play to pull off the upset. The six points scored by the Warhawks is the team’s low mark since a 7-6 loss at UW-Platteville on October 2, 2004. The loss dropped the Warhawks down to 4th in the D3-Top 25 College Football Poll. Three-time defending NCAA Division III Champion UW-Whitewater will open the 2012 season at Washington University in St. Louis on Friday, August 31. They’ll play their home opener two weeks later, Saturday, Sept. 15 against Buffalo State College against Perkins Stadium. UW-Whitewater has won a record seven consecutive WIAC championships. For the last seven years, UW-Whitewater has also advanced through four rounds of NCAA Division III playoffs to reach the Amos Alonzo Stagg Bowl, the Division III championship game in Salem, Virginia. Whitewater won its first national championship in 2007, and followed with titles in 2009, 2010 and 2011. Leipold’s five-year record at Whitewater is 72-3 overall and 34-1 in conference play. The Warhawks 45-game win streak is the longest active streak at any level of college football. The streak is the fifth longest in the history of the NCAA.